for $239,800 with 3 bedrooms and 1 full bath, 1 half bath. This 3,120 square foot home was built in 1989 on a lot size of .875. RIGHT ON RACCOON RESERVOIR! Beautiful log home at its best on Raccoon Lake! 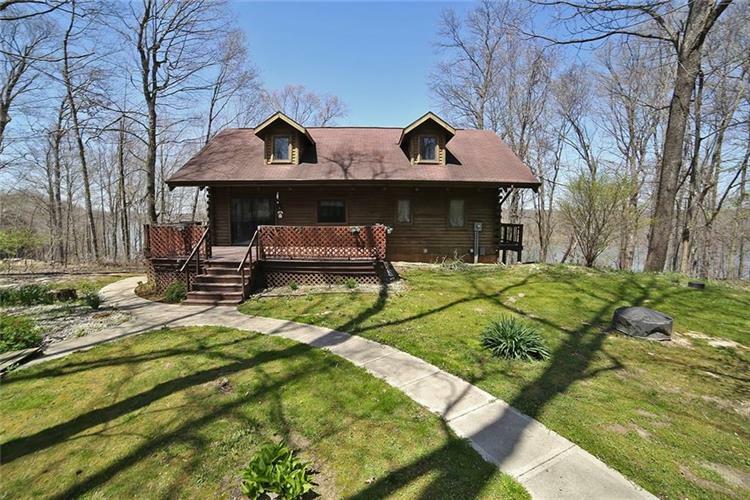 Two lots of wooded paradise! 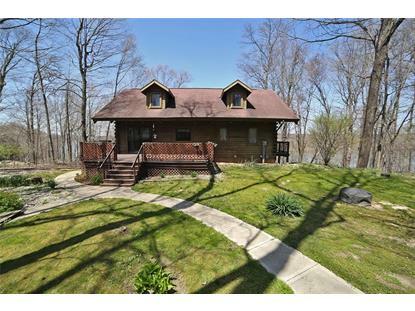 Relax on one of multiple decks overlooking the lake or entertain from your walkout basement. Fabulous 20X30 barn with concrete flooring for all of your vehicles and boats. Wood burning stove for those chilly nights. New septic lines in 2014, New Furnace in 2011, Portland Mills Boat Dock.